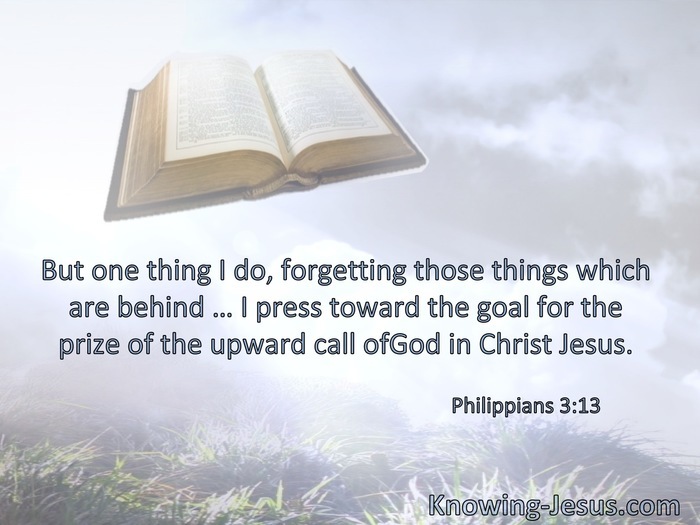 But one thing I do, forgetting those things which are behind … I press toward the goal for the prize of the upward call of God in Christ Jesus. Father, I desire that they … whom You gave Me may be with Me where I am, that they may behold My glory which You have given Me. § I know whom I have believed and am persuaded that He is able to keep what I have committed to Him until that Day. § He who has begun a good work in you will complete it until the day of Jesus Christ. Do you not know that those who run in a race all run, but one receives the prize? Run in such a way that you may obtain it. And everyone who competes for the prize is temperate in all things. Now they do it to obtain a perishable crown, but we for an imperishable crown. 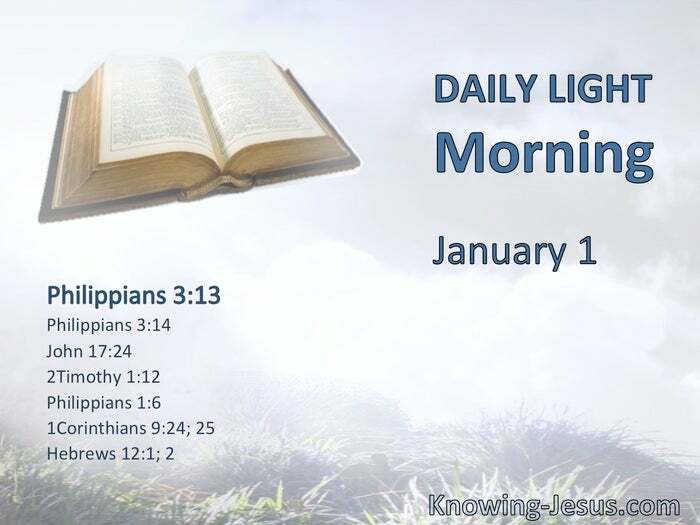 § Lay aside every weight, and the sin which so easily ensnares us, and let us run with endurance the race that is set before us, looking unto Jesus.